Bitcoin Press Release: BINEX.TRADE has reached a new milestone, and the exchange has unveiled its Brand Ambassador program to reward users for their loyalty and commitment towards the platform. The Brand Ambassador program has a lot to offer for traders and investors on the platform. 3rd July, 2018. Singapore: BINEX.TRADE has also garnered tremendous response from its users and has been reaching new milestones in its journey. The platform’s Brand Ambassador program is geared towards those who have a strong inclination towards the BINEX.TRADE ’s vision and the scope of cryptocurrencies, in general. Participants would be chosen based on how well versed they are with cryptocurrencies, blockchain technologies and also their understanding of the finer nuances of the exchange. Upon being selected as an Ambassador one would have to get engaged in simple social media tasks like engaging on forums or penning posts on prominent social media platforms like Facebook, Twitter, Medium and Telegram among others; something that most of us love to do on a daily basis. Users will get rewarded in the form of BEX tokens and the amount of BEX tokens allocated shall depend upon the users Ambassador score. Participants shall get rewarded on a proof-of-work basis with BEX tokens that would help garner a regular income for a lifetime. 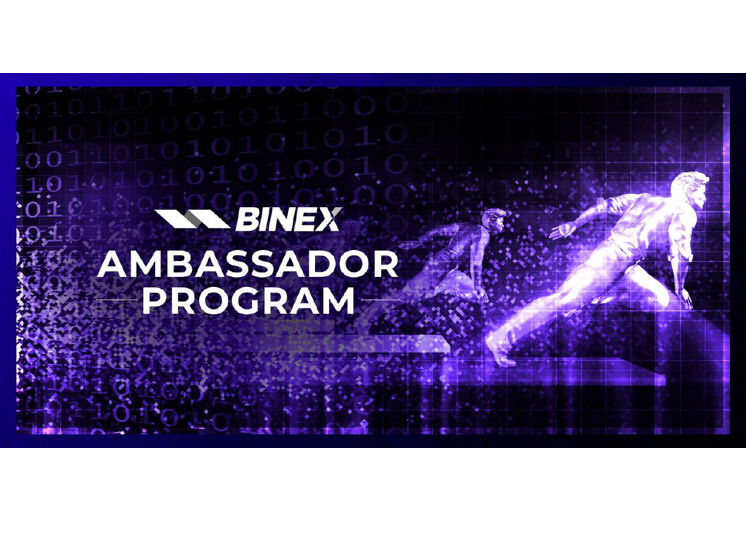 BINEX.TRADE’s Ambassador program shall help enhance the exchange’s community outreach. 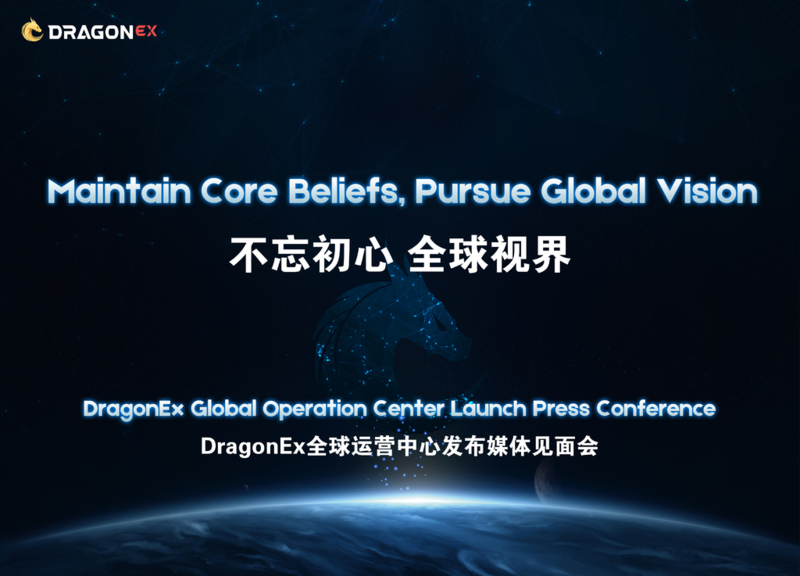 Furthermore, it will act as an extension of the exchange’s vision of building a strong new cryptocurrency community; Ambassadors will take the lead towards building authentic and long-lasting relationships with the cryptocurrency community worldwide. BINEX.TRADE is expected to introduce several offers for registered users and coming aboard on t.me/binextrade on Telegram is the best way to keep users updated about various new exchange related developments. One can register and sign up on BINEX.TRADE after which they will get introduced to the BINEX.TRADE Ambassador dashboard. Apart from this, the exchange has announced a novel giveaway that shall reward users that garner the most referrals within a specific period like a week and a month. BINEX.TRADE provides space for immediate buying and selling of cryptocurrency once spotted to be favourable for the user to either sell or buy. This is one of the simple order types and has no control over the price received. In other conditions of less immediacy, the user can use limit order type. This will allow the trade user to have control over the price at which the trade takes place, thereby giving the user an edge to sell or buy the cryptocurrency at no less than a specific price. The post BINEX.TRADE Announces Ambassador Program: Join the Forces and Lead the Way appeared first on Bitcoin PR Buzz. 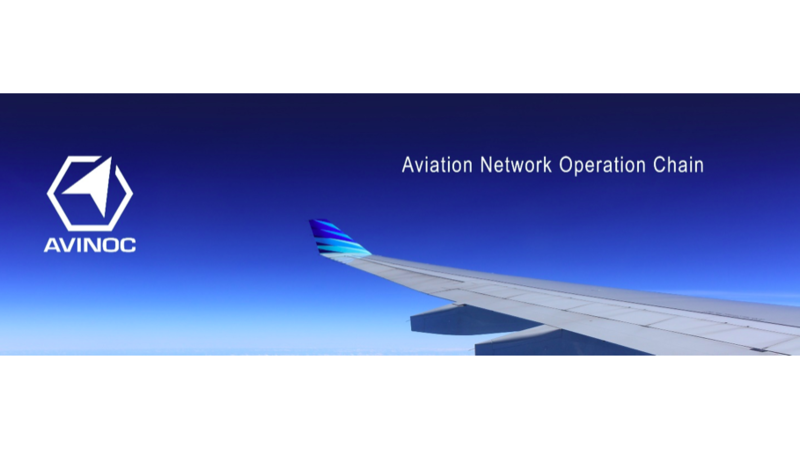 Bitcoin Press Release: AVINOC (Aviation Network Operation Chain) is a platform for the global General Aviation (GA) businesses, using a new concept and innovative Blockchain technology. AVINOC aims to bring the power of decentralization and the speed of blockchain systems into the GA, especially into the Business Aviation (BizAv) sector and as a second step consequently into the Airline Business. July 2nd, 2018. Hong Kong – Blockchain startup AVINOC brings passengers, airlines, air traffic control, and travel agencies together with its advanced, decentralized technology. The company look to challenge the status quo of old centralized booking companies such as checkfelix.com or expedia.com. AVINOC’s Blockchain technology allows for direct link between players, while cutting out needless intermediaries and connecting passengers and airlines to flight bookings. AVINOC provides other services such as group bookings for increased organization and ease of use. The service will bring friends together in a all-inclusive platform, making the whole process simpler and easier. Blockchain technology allows AVINOC to contact its airline provider in a similar fashion to social media messaging apps. AVINOC is a blockchain solution for BizAv and the entire aviation business, and is building a strong foundation for solving problems in the Airline Business. Similarly to the way facebook first became implemented in Universities in America, AVINOC looks to be become the Facebook of BizAv, by scheduling Airline and Charter Business in a worldwide development roadmap. Since the 1960’s, the organization of airline air travel has been steered by the same technology but now a new contender has arrived. This system is generally known as the Global Distribution System (GDS). In this system, transactions are made between airlines and travel agencies that offer air travel to passengers. This market is dominated by three players worldwide. Apart from the GDS and as a more recent development, numerous price comparison and booking portals have emerged over the last two decades, separating airlines from customers and leading to a lack of transparency. Technical innovation is urgently needed to break this artificial overpriced system and to re-strengthen the airline market from the inside. AVINOC creates new concepts to manage the General Aviation Business and provides innovative solutions for airline ticketing, direct bookings, time saving and empowerment of the traveler through lower ticket prices. In addition there is a considerable cost reduction for airlines and operators. 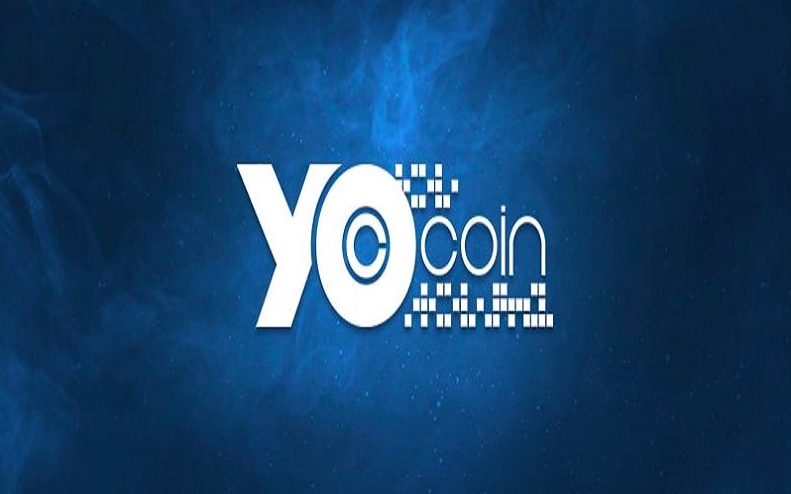 There is a fixed amount of 1 Billion token, 40% of which will be for sale for the general public. The issuing price of each token will be USD $0.05 at the token sale. AVINOC is the source of this content. Virtual currency is not legal tender, is not backed by the government, and accounts and value balances are not subject to consumer protections. Cryptocurrencies and tokens are extremely volatile. There is no guarantee of a stable value, or of any value at all. Token sales are only suitable for individuals with a high-risk tolerance. Only participate in a token event with what you can afford to lose. The post AVINOC: The Blockchain Solution Disrupting the Global Aviation Business appeared first on Bitcoin PR Buzz. Bitcoin Press Release: Kirik is a meta-protocol that connects blockchains seamlessly. Many members of Kirik’s team are avid football fans. To celebrate the 2018 FIFA World Cup, they’re giving away cash-value bonuses to their community. Participants stand to win free KRK tokens without making a purchase – and the contest rules are explained below. July 2nd, 2018. Singapore. With the group stage over and the round of 16 underway, the FIFA World Cup is heating up. Hundreds of millions of fans are watching each game with bated breath, rooting for their favorite team. And one thing that’s known to make games even more fun is a friendly bet – which is what Kirik is inviting users to make in their new contest. 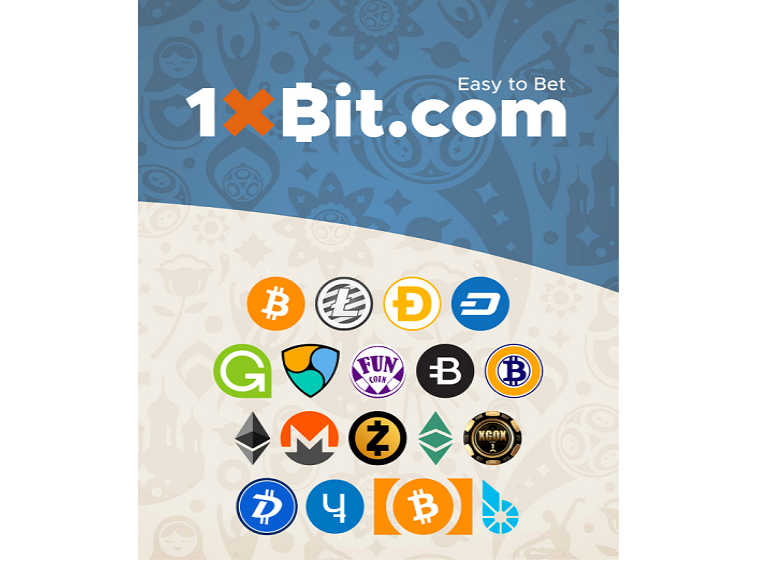 By proceeding to this link​ and following a few simple steps users can make a free “bet” on the outcome of any World Cup game. If you guess right, you win 100 KRK tokens free of charge. That’s nice in and of itself, because you can win up to 1600 free KRKs if you predict the outcome of each remaining game correctly. But that’s not all. There’s a way to 10x your winnings for free, too. That’s right. In addition to giving away free tokens, Kirik’s team will multiply all your winnings by 1,000% if you refer 10 people or deposit $1,000+ during their token sale. That’s up to 16,000 KRKs per user; an attractive incentive to take take part in the contest. In true Football spirit, the project is committed to fair play. To eliminate cheating, all contest participants must get whitelisted – so if you haven’t gone through the verification process yet, ​do so here. Then proceed to ​this link in order to sign up to the contest and win hundreds (or thousands) of KRKs. And, above all, enjoy the World Cup and have fun! ​Kirik is a meta-protocol that connects blockchains and legacy networks. The project’s ambition is to help create a World-Wide-Blockchain that makes crypto easy and convenient to use. Kirik’s minimum viable product already serves millions of people, and can potentially help billions more. Kirik is the source of this content. Virtual currency is not legal tender, is not backed by the government, and accounts and value balances are not subject to consumer protections. Cryptocurrencies and tokens are extremely volatile. There is no guarantee of a stable value, or of any value at all. Token sales are only suitable for individuals with a high risk tolerance. Only participate in a token event with what you can afford to lose. 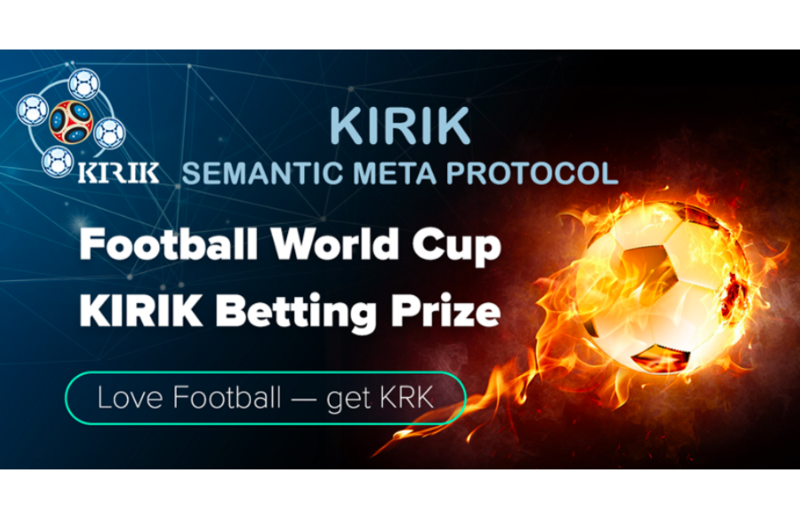 The post Football World Cup KIRIK Betting Prize appeared first on Bitcoin PR Buzz. Bitcoin Press Release: Buglab, a blockchain cybersecurity startup is offering cryptocurrency exchanges entry for its upcoming penetration testing contests. Buglab will be giving away $2,000,000 in BGL tokens to cybersecurity researchers participating in the contests. 01 July 2018, Paris – Buglab, a cybersecurity solutions startup has announced that it will be offering $2,000,000 in BGL tokens to cryptocurrency exchanges and cybersecurity researchers participating in the penetration testing contests of its platform. 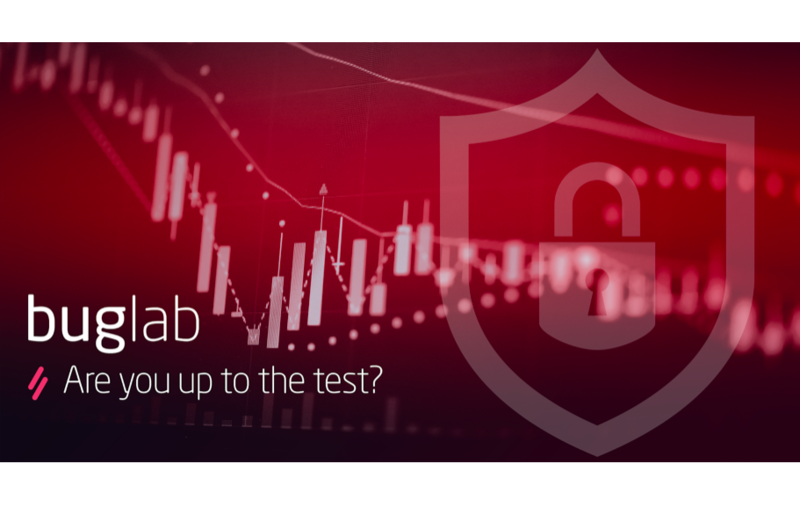 Buglab has decided to release a private beta version of its platform, following a spate of recent exchange hacks. Any exchanges who offer to run a launchpad, or promote the token sale in some way will be eligible to receive the penetration testing service to detect vulnerabilities and potential threats. Through Buglab, a community of certified and hand selected cybersecurity researchers will summarize the contest, providing a complete report on the findings and draw a complete preventative strategy to prevent such issues in the future. Every participating exchange will get the chance to receive $20,000 as a part of Buglab’s enterprise plan, including a $10,000 prize for the top three winners of the contest and $10,000 as a special reward (for example critical vulnerabilities not found by the winners). In addition to offering the contest, if no vulnerabilities are discovered, Buglab will offer 50% of the sum allocated to the exchange, ($10,000 in BGL tokens). This is an excellent way for the exchanges to test the release of future features. Today’s digital financial markets are growing at an exponential rate and hackers now have more advanced techniques and equipment than ever before. Cryptocurrency exchanges should be vigilant and actively monitor and update their knowledge and technical skill to be one step ahead of the hackers and to keep their exchanges secure. The Buglab penetration testing service and contest announcement come just two weeks after two large South Korean exchanges were hacked and lost an estimated combined total of over $70 Million, in various cryptocurrencies. Leading exchange Conrail announced a “cyber intrusion” on June 9, with an estimated loss of $40 million and only 11 days later South Korea’s largest volume trading platform, Bithumb announced a security breach with a reported loss of $31 million. Despite Bithump’s reassurance of a full reimbursement to all of it’s affected users, serious questions now hang over the security of these, and all other cryptocurrency exchanges. With this news compounding the current bear market, cryptocurrency platform users are very concerned as to the state of play. Reda also stated that this increase in hacker prowess has created an increased demand for cybersecurity professionals that far exceeds the current supply. This huge demand has pushed specialist towards finding new and more efficient solutions to oppose the growing number of security threats. Buglab uses Ethereum-based platform composed of two programs: the buglab contest and Vigilante Protocol, for helping companies and cryptocurrencies exchange, all over the world, to discover and fix vulnerabilities on their digital solutions and assets such as web apps, mobile apps, IoT devices, smart contracts, and others. In the Vigilante Protocol, the startup works with CERTs to verify discoveries and notify companies at risk. Buglab is the brainchild of cybersecurity veteran and engineer Reda Cherqaoui. He has been in the cybersecurity scene since the age of just 16 and in 2011 he developed Facebook’s monitoring system, known as “Agatha”. In this time Reda helped numerous mainstream companies such as Hotmail, Yahoo, and eBay. The Buglab founder has always been motivated by problem-solving and now looks to address the various cybersecurity threats, through Buglab’s penetration testing startup. Buglab will be running a token distribution event from the 30th of June, 2018, for a period of exactly 4 weeks. Individuals interested in participating in the token presale can do so by whitelisting on the official website. In total Buglab will create 425,000,000 BGL tokens, of which, 40% (170,000,000) will be allocated to the token distribution event. The BGL token sale price is locked at $0.15 for the duration of the the token sale. Buglab is happy to announce that it will be offering token sale participants a 25% token bonus for the duration of the presale. Buglab is an Ethereum-based startup that connects companies with a global network of expert cybersecurity researchers. At the center of our ecosystem, there are two programs – the buglab contest and Vigilante Protocol, helping companies all over the world to discover and fix vulnerabilities on their digital solutions or assets. Buglab is the source of this content. Virtual currency is not legal tender, is not backed by the government, and accounts and value balances are not subject to consumer protections. Cryptocurrencies and tokens are extremely volatile. There is no guarantee of a stable value, or of any value at all. Token sales are only suitable for individuals with a high-risk tolerance. Only participate in a token event with what you can afford to lose. The post Blockchain Startup Buglab.io Offers $2,000,000 Worth of Tokens to Secure Crypto Exchanges, in Cybersecurity Contests appeared first on Bitcoin PR Buzz. 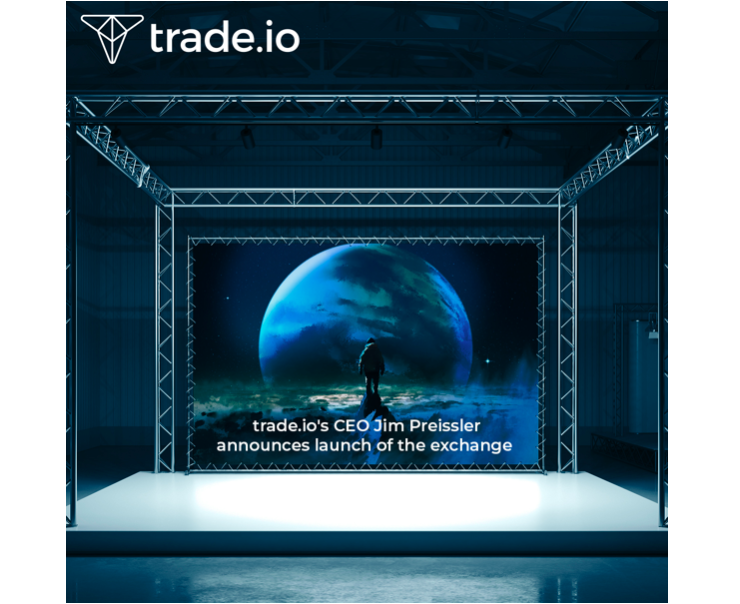 Bitcoin Press Release: trade.io’s CEO Jim Preissler today announced during his keynote speech at the trade.io sponsored, Bloomberg event in London, England, that the Exchange, the flagship product of trade.io, will be launched on July 17th, 2018. The announcement comes after months of anticipation across the crypto world where they have eagerly prepared for the launch of trade.io’s live Exchange, and later its Liquidity Pool. Friday 30th June 2018, Lugano, Switzerland. For the first month of launch, the company has also announced that they will offer commission-free trading to registrants. Pre-registration to the trade.io exchange is available here! Today marked a truly special occasion as trade.io celebrated the announcement of the launch with not just one, but two milestone events. The first of which was titled “The Future of Cryptocurrencies”; Bloomberg’s first ever cryptocurrency event. The event was broadcast live to Bloomberg Terminals’ many thousands of daily users and also live-streamed on trade.io’s website. The collaboration with trade.io was an attempt to bridge the worlds of traditional finance with blockchain/cryptocurrency by bringing some of the brightest minds and most innovative thinkers together, for a one-of-a-kind event. This event will be livestreamed on https://trade.io/future-of-cryptocurrencies. In conjunction with the Exchange launch date announcement, trade.io also hosted a guerrilla coffee campaign, which took place at one of London’s busiest commuter hotspots and financial centres, Canary Wharf station, whereby more than 350,000 people pass through every day. trade.io believes in constantly exceeding community expectations and today was no exception. Over 13,000 free coffees were served in trade.io branded cups, at the busy London Underground station as well as in 20 independent coffee shops in the City of London. In addition, numerous chocolate coins emulating the company’s cryptocurrency, the Trade Token (TIO), were distributed across various London venues, and both these and the coffee cups offered an opportunity to register in the company’s popular airdrops campaign. The company has also made plans to exhilarate the crowds at Canary Wharf Station today, with a surprise flash mob of dancers dressed as astronauts. This is being live-streamed on the company Facebook page! Global press were also present at both of these uplifting events, in order to disseminate footage of interviews and other key events on international television and media channels. The first lucky 1,000 people to experience the trade.io platform, will be contacted via email in the days before the launch. The post trade.io Announces Official Launch Of Its Highly Anticipated, Customizable Crypto Exchange at Simultaneous London Events appeared first on Bitcoin PR Buzz. Bitcoin Press Release: It has taken the team over 10 months to achieve Consentium’s first token-based fundraising success, so thank you for being with us on this journey so far. We have re-aligned our strategy efforts and are ready to share our new development roadmap! June 30th, 2018. Singapore. We are still focused on our mission of making Consentium Asia’s first community-driven chat application offering both a multi-digital currency wallet and group monetization in one platform — rewarding our users with cryptocurrency as an incentive to drive and cultivate strong in-app communities. To get there, for the next few months our development team will be focused on developing a new identity, finalizing the functionality in the apps, and refining the algorithm of the community monetization model. Stay tuned for the details about every feature! Users will experience a brand new ‘look & feel’ on the Consentium app and website in the next coming weeks! We will be kicking-off our app development release LIVE on Android first on 1st August 2018. This will be followed by an iOS release on 10th September 2018. 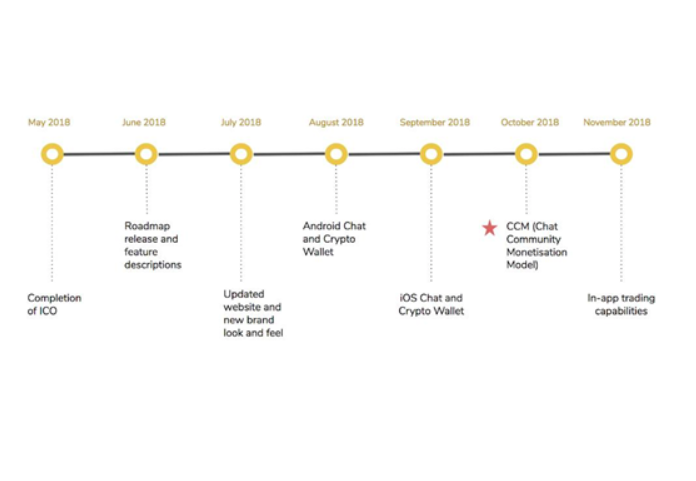 By October 2018, we would have fully integrated the Chat Community Monetization Model (CCM) across all platforms. The CCM serves as an innovative way to automate and incentivize the in-app community growth, allowing all participants in the ecosystem, including developers, content creators, and business owners, to monetize their activities. The Consentium app and website will available in the following languages: English, Chinese, Korean, Arabic and Japanese. So you won’t ever be lost in translation! There are two salient features of the Consentium app; The chat community and the multiple digital (C2C) currency wallet, which allows peer-to-peer interactions at both individual and group levels. The chat feature allows individual users to create, share, communicate and produce unique content through 1-to-1 chats with other individuals, or create group chats and channels via communities for brands and influencers. This allows for multiple monetization opportunities across one integrated platform, applicable to different communities. The adaptation of integrated add-ons, such as gamification and tiered reward systems allow for greater user leverage across Consentium’s app and services. Consentium Tokens (CSM) are based on the Ethereum platform, the world’s largest, leading smart contracts blockchain. Ethereum was specifically chosen as it offers an efficient balance of speed and token liquidity. Consentium is committed to continually improve our user experience by implementing new features alongside top security and encryption functions. We value the feedback of our community users, so please feel free to share your thoughts with us as we keep updating you on our progress! Consentium is the source of this content. Virtual currency is not legal tender, is not backed by the government, and accounts and value balances are not subject to consumer protections. Cryptocurrencies and tokens are extremely volatile. There is no guarantee of a stable value, or of any value at all. Token sales are only suitable for individuals with a high risk tolerance. Only participate in a token event with what you can afford to lose. The post After a Successful Token Generation Event : The Updated Consentium Roadmap appeared first on Bitcoin PR Buzz. Bitcoin Press Release: trade.io – In anticipation of its upcoming cryptocurrency exchange, trade.io has announced a commitment to exceeding common security standards and has ensured the early implementation of a comprehensive security program. 29th June 2018. Lugano, Switzerland. During its token sale, rigid security controls and systems were deployed, and as a result, trade.io was able to fend off numerous cyber attacks and attempted hacks on the website and our users. 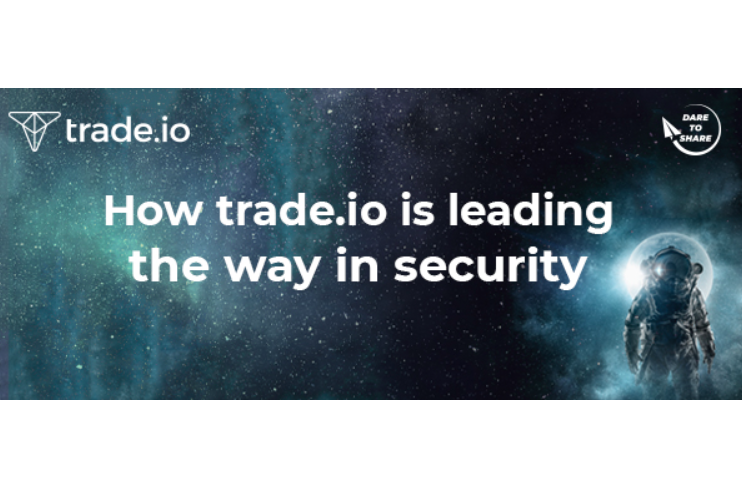 The post trade.io Leads The Way In Security By Introducing High-Level Security Systems and Practices For Its Upcoming Cryptocurrency Exchange appeared first on Bitcoin PR Buzz.